A Blogger’s Arsenal - A Rose Is A Rose Is A Rose! Friday’s 55 Fiction : Intimate Terrorism Salutations to the Men of the Roads! A Question : You have been devouring, glimpsing, soaking, reading so many blogs in a day. So based on your experience, tell us the various varieties/flavors of blog posts you see in your blogosphere. Explain with suitable examples. A. You get to soak in such a vast amount of information on varied topics. B. You get to observe such diverse expressions. C. Your hours and hours never seem like lots of hours but just minutes passing by!! D. At the end of the day, you feel very enriched and stimulated mentally and drained and exhausted mentally again! A Blogger can have a lot of different styles of posts in her/his arsenal. She/he can use all of them at some or the other time. Happy-Go-Lucky Posts : Oh, these are fun posts. Nothing heavy, just casual care-free banter. A mundane observation of the daily life, a take on an issue in a fun way, an anecdote… Reading them surely brings in a smile or a thought that you are alone!! Thought Provoking Posts : These posts inspire you, touch you, wake that dormant feeling in you, compel you to ask questions. From telling us to smile at the road side beggar, to the grit and determination of a handicapped child to what could change India, these posts leave you with a lingering thought in your mind and a loads of food for thought! Whining Posts: Strong to humorous expressions of cribbing on things gone wrong, or our team losing a game, how life’s unfair, the killing heat & humidity and no rains or when suffering from that writer’s block, the woes of the city …almost everything under the sun is cribbed about in these posts. Cut/Copy-Paste Posts : These posts are ‘Ctrl X’ed or ‘Ctrl C’ed from the world wide web or even our daily forward mails and then ‘Ctrl V’ed on the blog. Amazingly, such posts receive raving reviews too! LOL Posts : Oh, these are the most needed ones. Witty, humorous, satirical, funny…these posts can make you smile or laugh or even rolling on the floor laughing!! My favorite! What is Yours is Mine Too Posts : The most dreaded posts! Because, the creators of these posts use someone else’s words or ideas and pass them off as their own!! A Tale & a Verse Posts : A story in few words to running in multiple posts, chapter-wise, these posts tell a tale or share a poetic rendition. And the ingredients of these posts are as tantalizing as our spices, ranging from romance, thrills, horror, poignancy, sorrow, mystery, humor, fantasy to contemporary or even crime! A Picture Speaks a Thousand Words Posts : Few words to no words at all, but with amazing, unique, mesmerizing shots of ANYTHING! These are the photo posts. Yummy Posts : No points for guessing, these are the delicious, food posts. Sharing exotic dishes to recipes of Roj kaa Khana, these posts make your mouth water and leave you with that ‘craving’ feeling. Information is Power Posts : That’s the credo these posts believe in. So you have information on EVERYTHING!! Tips and tricks for Farmville on Facebook, forthcoming events, current affairs, Excel shortcuts, how to upload widgets on your blog, life & songs and death of MJ…its all there, of course with a personal touch of the blogger. Very Specific Posts : Industry specific views, ideas and information …Music, Sports, Advertising, Sales & Marketing, Films, Politics, Health, IT, Telecommunication, MLM, Insurance, Finance, Travel…the list is endless. The history of a brand, to tips for a successful Multi-Level-Marketing business…these posts cater to a niche audience. Sharing is Good Posts : These are the posts that assist in forging new relationships, developing camaraderie, making new friends in the blogosphere… And these are the much loved posts on the Awards and the Tags!! Tell-It-All Posts : You even see very personal, often scandalous information on the posts, a la Sacch Ka Saamna of Star Plus, the Hindi version of Moment Of Truth!! Next post Salutations to the Men of the Roads! That was a neat compilation! I should surely appreciate you, as you seem to vast amounts of knowledge in everything! You forgot to add the “Girly- Pink types” where a lot of blabber happens, all in pink, totally and socially useless! a brilliant analysis which clearly depicts the level of your indepth knowledge of blogosphere..
u didn’t tell us which category does this post belong to?? hey nice writing…u categorized everything except one….hatred blogs…like mine !!!! Now where do my site fits in ? Let me think..
Hmmm not one category but multi-category i suppose , correct me if am wrong. 1.A Tale and verse posts. I missed d difference between LOL post and happy-go-lucky post??? btw… got somethng 4 u on my blog!!! @ R S V : Thanks Rahul. @ Vipul Grover : This post shares the Broad classification… as such, this can feature in Happy-Go-Lucky Post. @ Richa : Thanks Richa! and Welcome on “A rose is a rose is a rose!”. Sharing is Good is a broad category, which has Awards and Tags!! @ Lakshmi Rajan : Thank you! Some information. I always suspected there were different types of blogs but never had the energy for categorising them. Oops! No worry, though! You can give me those awards again, even if I have them. Actors et all, receive multiple Oscars or Filmfare awards, right!!? As I said earlier… guess, our blogs will have many, if not all categories from this classification of blog posts. My sentiments exactly for Yakety Yaks and even Cut/Copy Paste!! A very nice categorization shilpa.. awesome… experience is the best teacher.. experience has taught you this much… great post.. nice one..
Love the way you pick out-of-the-box topics ! Btw, my fav posts would be LOL & Happy go lucky ones ! Me seems to be dumbo!! SG: cool post, but there is one more category i.e posts describing flavors of blogging, like this very post of yours and ‘flavors of comments’ right?? How much of efforts you must have invested in all these!! I read all of them twice! @ Shankar: Thank you Shankar!! Am glad you liked it! @ Dhiman: Yes, you are right, I guess all the personal blogs will have many of these categories, unless and until somebody restricts himself to only one category by choice! @ Shilpa: I guess, you can categorize these kind of posts in either List Posts or Happy-Go-Lucky Posts! me too tried to categorized my posts, but couldn’t…well I have come across sarcastic posts too…n love them…awesome efforts shilpa..
lend me your help pleaseeeeeeeeeeee!!! great post!! you have given me some good tips actually! i shall try some of these posts you have mentioned!! Of, course, I can assist you, in case you get stuck somewhere and are not able to decide, whether a particular post belongs to the LOL category or Happy-Go-Lucky type and the likes of it!! So, now get going and finish your blog post analysis! Will be keen to see your new expressions! 🙂 Good Luck!! A Tale & a Verse Posts??? 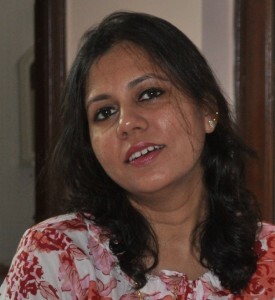 Shilpagarg,very expressive and clear identification of the blogs. Perhaps,I may sound backward or stupid,but I do not read and analyse any blog on the basis of it’s category.Having read a lot of blog posts in the last one year,I have rather zeroed down on the author rather than the subject.I am convinced that my selected authors are the best or else why would one have a list which a blogger follows.I can not list all my favourites but can mention a few..Shilpagarg,Vinod Sharma,Vipul,Nita,Poonam Sharma,Anju Gandhi……and so many more.My apologies to all others whose names are not mentioned but I adore and read their posts.regularly. Your this post is an eye opener. No, Mr. Chowla, you are perfectly right and it makes a lot of sense. And I do the same too. 1. I love Sidney Sheldon as an author, so I have read almost all his books. I like Mary Higgins Clark, so I look for her books, irrespective of the plot, story or characterization! 2. This post talks about the different types of posts one sees in a blog. For example, Vipul sometimes writes a fiction, sometimes a poem, MANY times a very intellectual post, sometime a funny and witty post or an informative post. (Did I miss anything??) So, while I like Vipul’s style of expression and read all his posts, there are certain types of his posts, which I enjoy more than the others. i couldn’t categorise my blog! wHAT CATEGORY does my blog fall into? @ Shruti: HI! Its not the categorization of a Blog! Its the categorization of the posts which make your blog. So like you have a Tale and a Verse Post (55 Fiction and story), Happy-Go-Lucky Posts(How conscious are we? ), Sharing is Good Posts (Awards and Tags), Cut/Copy-Paste Posts (Technologically Challenged or Say Cheese)etc. My blog has a variety?! I like personal posts and the ones that review books and movies. But the cut copy paste ones really amaze me, why go through the bother really ! Good compilation of posts here. Did you miss ‘Tag’ posts, a phenomenon peculiar to blogging? And some ‘UN’ posts – Utter Nonsense posts that tell nothing becoz one doesnt know what to post and have nothing to say? Nice list already! My sentiments exacly, regarding Cut Copy, Paste posts! u don’t share your views on my blog nowadays? This is another of your best analising posts! You are really good at it! I think I have written two thre kind of posts you listed like photo post, award post and I think Happt go lucky post! I will like to write some Intellectual, thought provoking and lol posts!! Any thoughts on what % of blogs / blog posts belong to each of your above categories ? And which categories draw the most traffic ! @Roshmi Singa: Thank you Roshmi. @Rohit Varma: Welcome on “A rose is a rose is a rose!”, Mr. Varma. Now, that you raised this query, I’d be keen to know this! Yaar I still find it difficult to digest that you are not a professional writer pursuing ‘blogging’ for a hobby! 80% of your articles seem like well-researched ones, even on such senseless topics as flavors of blogging! That’s a very unique skill u know! Cooking is just one part of the job… but presentation is what sells it! Hats off! nice lists – its amazing the number of type of blogs that you have covered. very insightful blog here. went thru many of ur posts and liked all.. NOTE: This is not a ‘Cut/Copy-Paste’ comment. Yeah, there are lots of different types of blogs. I can add one more to that list. That is informational blogs. These blogs provide information on a particular topic. Less of personal but more on the details. nice categorisation of posts & nice style of writing.Keep up the good writing! Man! That was a big compilation! Well Done, I think you have covered pretty much every kind of blog there is! The way you have defined the various categories and types of blogs out there is very nice. Thanks for the descriptions. Whoa, great blog design! How much time are you currently blogs regarding? you will be making blog appear easy. The full glimpse within your web site is wonderful, much less this article!